This post which had been pending for a long time, I thought to start with Tier 1, but could not write in right time, as Tier 1 is already finished I thought to write something on how to prepare for Tier 2 and this will be justified even if it helps at least some aspiring candidates...!! A pic that was taken long back during my Preparation !! Coming to SSC CGL , I had written both the exams tier 1 and tier 2 twice, so I had a very good experience to share vth, which i would not have if everything had went smooth and I would not written this article as well..
Whatever i write about the books and my preparation and my suggestions or pieces of advice, its all personal and it can be different for different people so you are not required to follow whatever I mentioned and i strongly suggest you to prepare in your own way, and get maximum benefit either way...!! In my opinion, the real competition in CGL starts at Tier 2 only, as everyone who got cleared Tier 1 are worthy candidates and are those preparing serious only, of course those who got more score in Tier 1 will have some advantage, but in tier -2 , everyone is a competitor for you, which is not the case with Tier-1, so you need to be so cautious and you have to compete with each and everyone and get the best score possible in order to get your desired post. The exam has started, in the starting of the paper almost all are one line questions and i felt bit happy and felt comfortable so thought that I don't require 2 hours to finish that paper... After almost an hour, the real picture is understood, in the ending almost all the questions are from geometry and many of them i could not answer due to lack of practice and on each question i had wasted around 3-4 minutes on geometry question but could not answer the question ... and the worst part is calculation and silly mistakes which lead to a disaster of the paper, which i realized only after I cross checked the paper after coming home..
On the exam day, I was very much confident this time before starting the exam, but after starting the exam its again it was an adventure !!! * After I have finalsed on the books, i almost didnt go through any other books specially for quant. * I had prepared notes and noted down (shortcut) formulas for almost almost all chapters that I had practiced from the starting of the preparation itself, which helped me to revise all the notes one day before the exam. * Put more efforts on Geometry and Mensuration and practiced more and more no of questions though I know the concepts and This helped me to reduce some silly calculation mistakes. 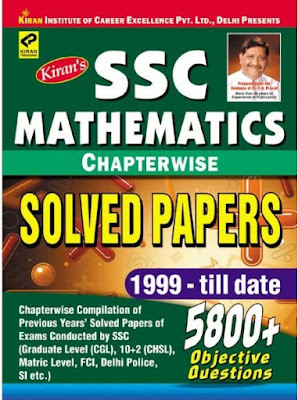 Almost finished the the SSC Chapterwise mathematics book. 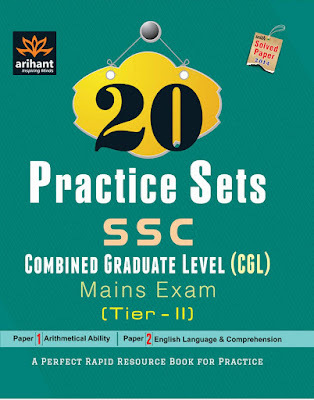 2) SSC CGL Quantitative abilities for Tier2 by Kiran prakashan, then i left this one also, as it has only a few no of questions for each chapter. Advantages --- This book has so many question in each chapter and in turn again separated by model i can say, also it covers all the previous papers questions, so i thought it was very useful, because when we write mock tests, sometimes we usually know where and which topic and which type of questions mostly we don't answer correctly, so for that type of questions this would be right book.. It contains almost all the models that are going to be covered and specially keeping in view of only CGL. Disadvantage is that , it does not explain the concepts before each chapter so those who are not familiar with the concepts, they should depend on something else for knowing the concepts and come back to this book only for practice. Also read as many one word substitutes online/off-line and revise as many times as possible. 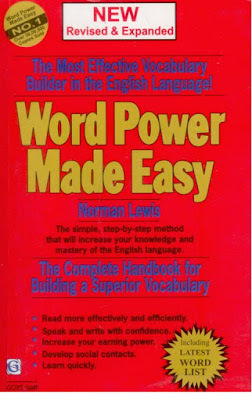 Good for concepts and grammar rules which are useful for correction of sentences, in the starting sections it will be boring but later sections they are good... I also din't finish the book completely. Left some chapters and read some which are important like that..
1) for getting high score, u should attempt as many questions as possible -- i feel attempting 92-96 in quant (English 200) would be decent for a moderately difficult paper. 2) You should not be in a position to miss or not answer a question without reading the question at least once. If u read the read the question and decide that u cant answer that question and if u skip then its fine but you should not leave a single easy question un-read. 3) Read the question completely before answering and also make sure you round off the option of the answer to the question , not the answer u got... sometimes we ll get answer as 1, but the 1 ll be in third option, but what we do is we ll round of 1st option instead of 3rd option. This is the general mistake even i do many times, but the best thing is to minimize that type of silly mistakes. 4) spending so much time on a single question. should not have ego to skip a question when u r not able to get the answer; I am sure when u attempt the question again in the next attempt after finishing other question u ll get the answer for sure. so Don't waste so much time on a question when u r not able to solve just skip the question n come back again. 5) Round off the answer to each question as soon as u answer the question. don't think that , i ll round off 10 questions at a time after getting answers to all the 10 questions like that. It sometimes spoils the whole paper, if u missed the sequence whole paper will be gone. 6) Suggest to prepare notes or even note down formulas for some lengthy models in quant and start using the shortcuts/formulas in d practice exams only otherwise it would be difficult to use them directly in the exam.Notes ll be helpful for revision in the last 2 3 days before the exam. 7) Sometimes simple logic/thinking ll solve the problem instead of a big and lengthy formula. so it also should come with practice. 8) sometimes try substituting the values and get the answers this will work out mostly for algebra and trigonometry questions. 9) sometimes make intelligent guesses when you don't have time to finish all the questions, for some questions we know 2 3 options cannot be answers though we don't know the exact answer. So such questions we can answer simply elimination. 10) Avoid silly mistakes and calculation mistakes as much as possible. Hope i had covered all the things which i want to convey...!! Wish you all the very best for the exam ...!! your journey and cracking cgl is really inspiring. iam also preparing for cgl. could please explain to me how to crack tier 1. This is the post i have been thinking to write for a very long time but could not get time and patience. But somehow I forcefully managed to sit and write something about CGL and about my Experiences about the two years struggle in getting through the most difficult times of my life during SSC CGL-2013. 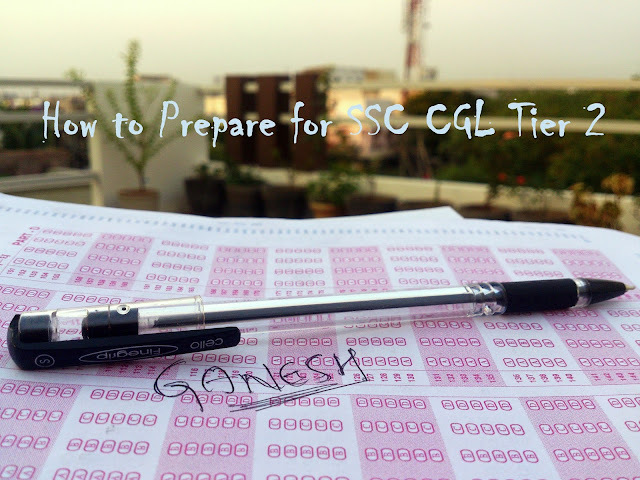 Before applying for CGL-13, I never knew anything about SSC or about its exams. And also from the childhood of my life I was always reluctant to the govt jobs. starting from my childhood my mom always used to tell me to go for Govt job but i never cared for my mother and even in my Nitk college, when other people were preparing for bank exams and other govt jobs, I used to think why the hell we need to come to NIT to prepare and go for bank jobs and sometimes we ourselves make fun of others. But at that time i did't know that one day I also will be going for Govt job with all my efforts and heart put into it. History : Situated to the west of famous hill station Mahabaleshwar, Pratapgad Fort is a mountain fort built by Chatrapati Shivaji Maharaj in 1656.Pratapgad consists of two forts - an upper fort is built on the top of the hill and a lower fort immediately below. one can have a magnificent view in all the directions from the fort. The fort from a distance gives the appearance of a round topped hill. The wall of the lower fort forms a sort of a crown round the brow.Also it is believed that Chatrapati Shivaji Maharaja was blessed with a shining sword at the temple of Goddess Bhavani here. You can CLICK HERE to know more about the fort. Geography : The Pratapgarh Fort is 900 m above sea level. It is 24 km the famous hill station Mahabaleshwar. Attractions: The Bhavani Temple and Afzal Khan's tomb are other places of interest many places in Mahabaleshwar which is very near. Howtoreach: This place is accessible via bus route from Pune, which will be around 120km.